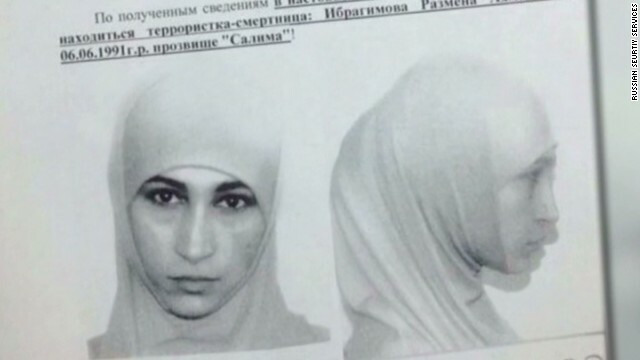 Will 'black widows,' other terrorists stalk the Sochi Games? The Russian security operation surrounding the Sochi Winter Olympics is massive and multilayered. But it only takes one flaw for terrorists to strike, and the Islamic Emirate of the Caucasus sees an attack at or around the Games as a glittering prize in its struggle against the Russian state. The Emirate, born out of the bloody Chechen insurgency of the past 20 years, has made no secret of its aims. Last year, its leader Doku Umarov said the Olympics were to be held "over the bones of thousands of Muslims who were killed and buried on the territory along the Black Sea," and fighters must not allow that "by any means." With an estimated 100,000 Russian security personnel involved in protecting the Games, and everything from drones to submarines and extensive cyber security mobilized in a massive counterterrorism operation, the prospect of an attack on an Olympic venue seems slight. U.S. Rep. Mike Rogers, chairman of the House Intelligence Committee, said terrorists "are looking for small but impactful murderous events so they can impact the dialogue of the Games." While venue security is tight, "outside the venues, (there are) lots of questions," he said. Matthew Olsen, director of the U.S. National Counterterrorism Center, agreed, telling a congressional hearing this week: "The greater danger from a terrorist perspective is in potential for attacks to occur outside of the actual venues for the games themselves in the area surrounding Sochi." Rogers told CNN on Tuesday that he was perturbed by the determination shown by jihadists around the world - including al Qaeda affiliates - to attack the Games. Last month, a radical cleric who enjoys a large following among militants, Abu Muhammad al Maqdisi, issued a fatwa recommending suicide bombings in the run-up to the Games, saying Russians "are careful to show security and stability in their country ... so shaking such stability is required and an intended target." And in an audio message late in January, al Qaeda leader Ayman al Zawahiri heaped praise on the Chechen struggle, saying "fighting for Chechnya is another of the pages of eternal jihad to achieve true justice in the name of Allah." Rogers says he thinks one vulnerability is inadequate intelligence cooperation between Russia and other countries. "The best security you can have is that (physical presence) combined with fully robust inner cooperative intelligence, and that last piece is missing," he said on CNN's "Erin Burnett OutFront." The determination of jihadist groups to stage an attack at the Games is all the greater because Russian President Vladimir Putin has invested so much political capital in their success, boasting that they would be "safe, enjoyable and memorable." Russia sees the Sochi Olympics as a launching pad to develop the Caucasus region as a major tourist destination and has spent about $50 billion on the region's infrastructure around the Games. Its success will depend in part on the experience of visitors and media at the Games, but a terror attack in the region would set back that goal. Of particular concern to Russian authorities are the "black widows," frequently young women whose husbands have been killed by Russian forces. Last month, Russian security forces published photographs of three such women allegedly planning to bomb the Olympic torch relay, and another of a 22-year-old woman called Ruzanna Ibragimova, who they said might be in the Sochi area. A far-ranging security clampdown in the last year has reduced militant attacks in Chechnya. Many Chechens are trying to leave the republic altogether; more than 10,000 applied for asylum in Germany in the first seven months of 2013 alone. The Chechen President, Ramzan Kadyrov, a close ally of Putin, has waged a relentless campaign against the separatists. Bankrolled by Moscow to the tune of some $2 billion a year, Kadyrov has set about prestige-building projects across the republic while going after the remnants of the Chechen rebels. Last month, he described Umarov, the Islamic Emirate of the Caucasus leader, as a "terrorist rat" and said that intercepted phone calls provided proof he had been killed. There's been no independent confirmation of the claim. But cells associated with the Islamic Emirate have shown both resilience and an ability to operate far from the Caucasus region. In December, two suicide attacks on public transport in the southern Russian city of Volgograd (formerly Stalingrad) killed more than 30 people. In a January report, the International Crisis Group said "there are growing indications that radical Islamist networks have cells across the country, from Moscow and St. Petersburg to Siberia." The Volgograd attacks appear to have been planned from the republic of Dagestan, which borders Chechnya and sees more violence than any other part of Russia. (According to Russian officials, 120 out of some 140 terror incidents in 2013 occurred in Dagestan.) A statement from the Dagestan branch of the Islamic Emirate said the Volgograd attacks were "a response to the atrocities that the infidels commit in the land of the Caucasus." And it went on: "As for the killing of women and children, it is permissible under Sharia where there is no option of separating them from the men." A video issued by the group showed the two men responsible for the Volgograd attacks preparing for their mission and talking about it. In recent months, Russian security forces have stepped up their campaign against militants in Dagestan. In January, three Russian special forces soldiers and four militants were killed in a gun battle in a Dagestan village. One of the militants killed had allegedly carried out a bomb attack the previous month. And on Wednesday, Russian media reported the alleged planner of the Volgograd attacks was killed in a shootout in the town of Izberbash. Authorities have imposed travel and other restrictions on known Salafists (Islamic fundamentalists) in Dagestan. "Two weeks before the Olympics, security services reportedly informed Salafis in (the town of) Buynaksk that they were not permitted to leave Dagestan during the Games," the International Crisis Group said in January. The Russians' task is complicated by remote, forested and often mountainous territory in the North Caucasus, as well as a devolved structure among jihadist groups, organized into autonomous military units known as jamaats. Terrorism analysts believe that some among the growing Chechen diaspora in Europe may also be raising funds for the insurgents. An estimated 80,000 Chechens - mostly civilians - have been killed since the separatist struggle began in the early 1990s after the Soviet Union collapsed. As it developed, that struggle became increasingly an Islamist and jihadist one. According to Domitilla Sagramoso, an expert in the Caucasus at King's College London, "there is a growing tendency among most Islamic fighters in the North Caucasus to view themselves as part of the broader Islamic global jihadist movement." The website of the Dagestani branch of the Emirate (Vilayat Dagestan) has posted writings of Osama bin Laden and other al Qaeda figures, and the Chechen cause has attracted hundreds of fighters from elsewhere in the Muslim world. That evolution has led Moscow to argue that the militants are part of al Qaeda's global terror campaign and have no legitimate platform. "The criminal outrages in Volgograd and terrorist attacks in the United States, Syria, Iraq, Libya, Afghanistan, Nigeria, and other countries have had the same organization mechanism and the same inspirers," the Foreign Ministry said. But Russia's battle with the restive Muslim population of the Caucasus goes back nearly 200 years. Sochi was once part of Circassia, seized by czarist Russia in 1864 amid massacres that, to many historians, amount to genocide. The whole region was depopulated, villages razed and their inhabitants deported. Decades later, in 1944, Josef Stalin ordered the deportation of Muslims from Chechnya and Ingushetia Muslims to central Asia. Nearly half a million people were transported, and many died on the way or soon after arriving. The latest crackdown has further radicalized Muslim communities in the northern Caucasus, human rights groups say. Despite the lavish plans for investment and Russian efforts to show that the area is now "pacified," human rights activists in Dagestan are not expecting an outbreak of peace. One of them told the International Crisis Group: "People in Dagestan are interested in the Olympics only in one way: whether the war will start before or after this. No one cares anymore about medals and results of the competitions." We shouldn't put these people up on a pedestal like we do.I think the media is a major problem . Terrorists love the stuff ! I found this web page as a finest web site for hottest updates. Mr. Lister, splitting up Iraq is very dangerous. It would set a destabilizing precedent in whole region. Abraham Lincoln set a model for modern nation-statehood; they must not split! Spitting up nations can have other destabilizing impacts, EVEN for the Western countries. Many American southerners still want to secede from the Union. The United States has been adamant in preventing Quebec from splitting from Canada. United Kingdom has been doing everything in its power to prevent the Scots, the Welch, and the Northern Irishmen from seceding from Great Britain. Even France is not immune, for it has worked diligently to prevent Corsica from seceding. Please refrain from advocating such strategies. Power comes from restraint. The media like the WMD issue will blow cred on Vlad, but it is not the truth. He knows the truth. Maybe their goal is to make all of the great nations waste millions of dollars preparing for something they don't actually plan on ding. It is when we become comfortable and relaxed again that they will make their move. Not when the world in expecting it. Well... that's what i'd do. If these women do pose a threat to the Sochi Olympics, the Russians will have themselves to blame in large part. Had the Russians granted the Chechens their independence back in 1991, these terrorist threats wouldn't be happening now. This is difficult to call. I have faith that if jihad command called for an attack they already have an army worth of fighters in the area. The questions are if this is a move jihad command is willing to make. I called it that they made a mistake calling fighters to syria en masse and putting them under their banner. Quickly they realized the miscalculation and reacted. They are at a SERIOUS disadvantage in syria as Assad is fighting a war , literally raising towns with bulldozers and starving the population until they accept sending out the women and children etc. Like it or not this is how you defeat gihad. It is successful. AQ is not jihad command. It is just a well known unit, consider it the rangers or something. They are being throttled/disavowed in syria which makes it reasonable to consider they may be at disadvantage. Moving back to russia, this is an entirely new war, clearly catalyzed over years. This apparent culling of the forces in syria could be an attempt to stabilize syria in anticipation of a massive civil war starting during the olympics. If something happens it will either be a massive scale attack on the iron circle (think hostages, lots of them) , or an inside job more tactical with few people involved but much more devastating results. Either way Id expect the security choke points to be used against the people. It is really difficult to zero in on this because it depends who is making the calls , if it is not autonomous . The major flaw in Russia's plan is the sheer number of personnel . I am confident their force is compromised. And also confident of the value of the target as it is advertised as 'every moment televised'. Id have to go with Yes. Something will happen. If for no other reason I know jihad command reads these and probably realizes I know how to beat them. It might affect the decision having it predicted. There will likely be smaller un coordinated attacks outside the ring . Impossible to predict, but very likely as it is as impossible to protect against the lone wolf as it is to predict. But it would be outside the security line. I think its clear now they do all follow one command. It would have been suicidal to launch an attack as it would have provoked a unified response from the world that would have been effective. Still likely to have lonewolfs like the plane , or smaller un mentioned issues. But it really seems like my initial assessment was accurate. Only a fool would order attacks like that, now. They are not willing to enact attacks that catalyze their enemy against them. If an attack stands to get us to stop trying to fight a PC war and start actually fighting a real war against them they will not do it. They rely on dividing the enemy against itself to win.